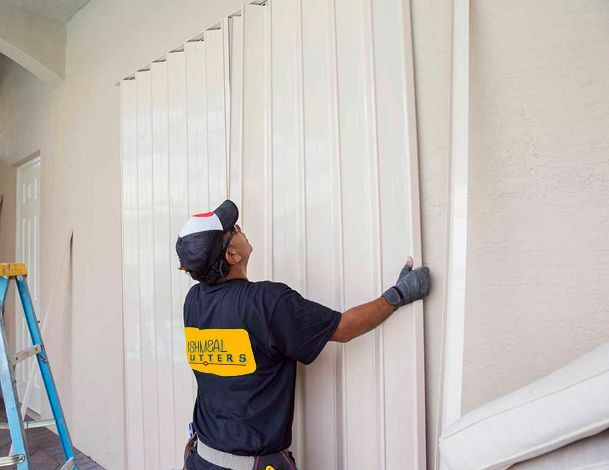 Owned and operated by Ishmeal with over 30 years of experience in Shutters and Screen work, Ishmeal Shutters is your one stop solution for superior products and quality work. We take pride in providing the most trusted products and services in the Cayman Islands for over 3 years. Our products and services are available at competitive price and strictly meet the guidelines framed by the government in regards to Hurricane. We supply and install, repair and service screen porches, patio, pool enclosure and wide range of hurricane shutters like Accordion, Bahamas, Colonial, and Roll-up Shutters. Whether you are constructing a new house or revamping your old property, we are happy to assist you throughout the process. Call now for servicing or repairing. Free estimate. Don't wait! Let us secure your peace of mind.